Confession time. The only real kind of breakfast I like is the sweet kind. My weekday breakfast is usually overnight oats, made at home with sultanas, cinnamon and some kind of stewed fruit. But I hate eggs-and on most restaurant breakfast menus eggs featured very strongly-poached, scrambled, sunny side whatever whatever. I hate them all. I can just about face a cheesy omelette but give me the french toast or pancakes and I'm much more in my comfort zone. But then there's another problem-I also hate banana-another strong breakfast staple here in Dubai. I know what you're thinking-fussy cow! 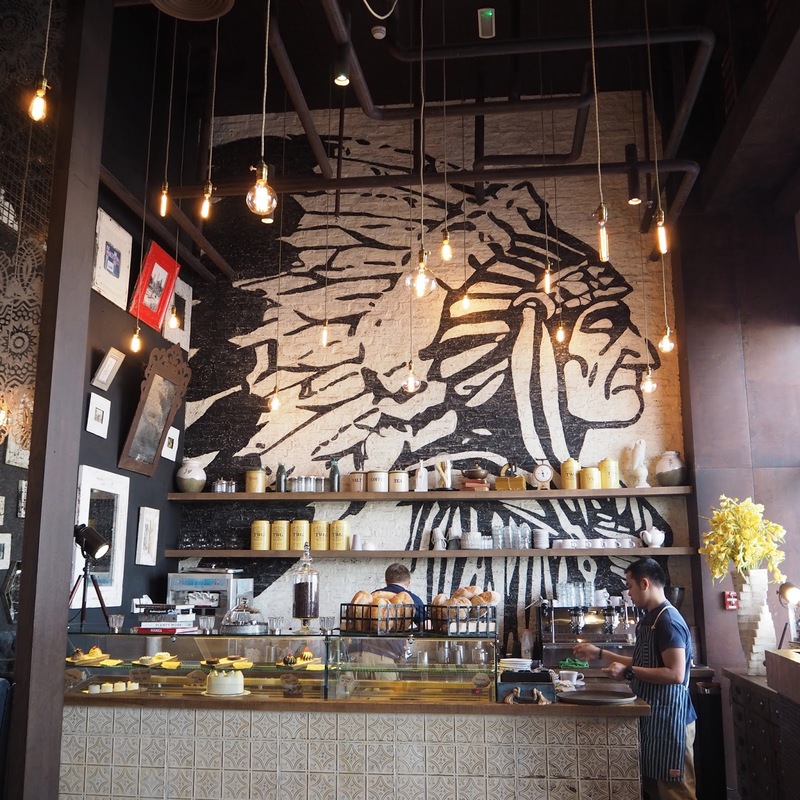 Despite my fussiness here are three breakfast places I love in Dubai. I take no responsibility for drooling or your hunger levels after this post. 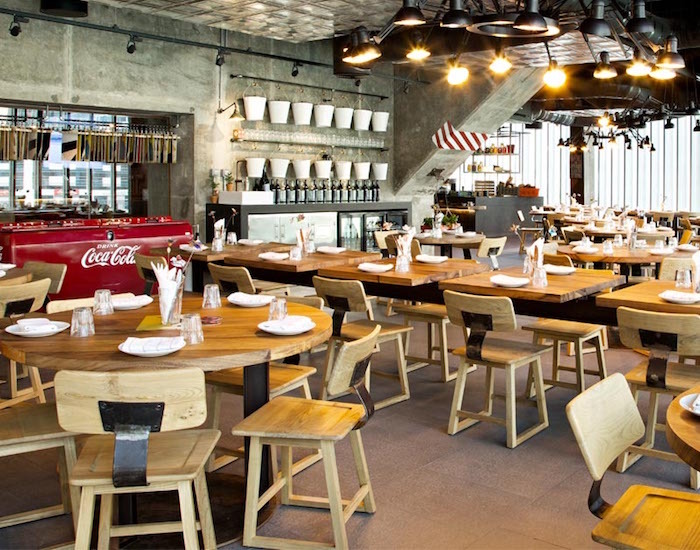 Set in the ground floor of the popular Pier 7 restaurant tower in Marina Mall, Fumé is a newcomer to the breakfast market and is open daily from 9am daily. The restaurant is huge with floor to ceiling marina views and has a quirky, retro yet rustic vibe with something interesting to look at in every corner. The service is relaxed and friendly. Although all of these places serve lunch and dinner, only Fume has an alcohol license. None of these places have a pork license but there are several places in Dubai you can get pork bacon with your breakfast. Service is friendly and relaxed and the menu offers comfort food from all corners of the globe. A great place for groups to meet for dinner. The new breakfast menu is vast and offers something for everyone both sweet and savoury. Unfortunately the menu isn't online but they have a sample menu on their website. We went around 10am and were the first there-but it was filling up by the time we left. Word hasn't got out about Fume as a breakfast place yet-but it soon will. The Breakfast Board-sourdough, mozzarella, avocado, pesto and mixed cold cuts. It also came with boiled eggs but I switched mine up for hash browns. Having eaten dinner there I can also recommend the Six Hour Smoked Beef Chunk and the Mac and Cheese. I'd sell my soul for a great Mac and Cheese I swear. 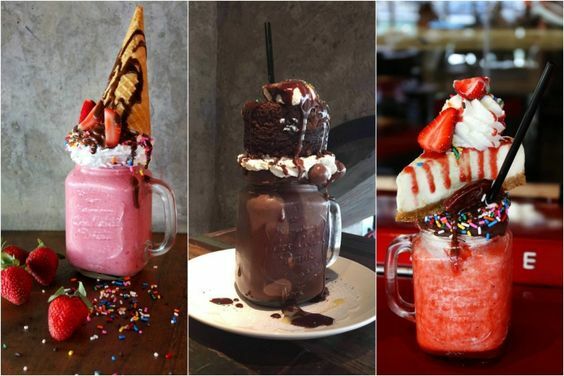 For something totally insane, check out the Monster Shakes (pictured below) on the dessert menu! 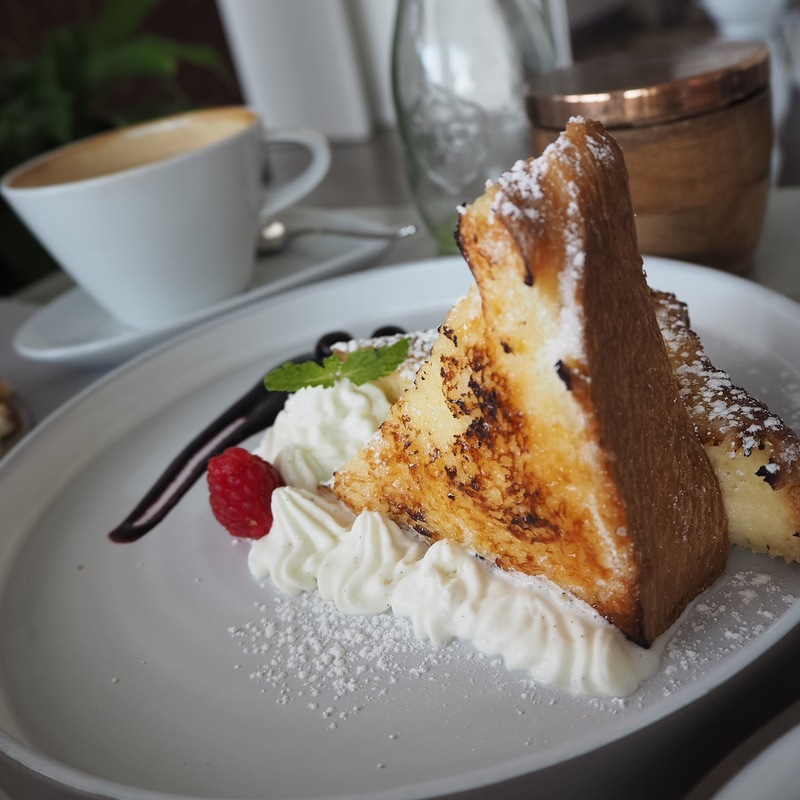 Culinery Boutique is a much more sedate, sophisticated and calm affair in a beautifully pinteresty villa in Jumeirah. Lofty ceilings, white walls with turquoise tiles and copper accents everywhere, everyone was taking pictures. We went at 10.30am on a Friday and were seated immediately but this is a very popular place with locals and expats alike. Located right on the beach road, they also offer valet parking. I've also stolen one of the other Laura's photos from her instagram-this place is instagrammy AF. Service was polite, friendly and fast. Open from 8am daily-website here. Cocoa Room is super confusing and insanely busy. It's not even called Cocoa Room and only operates as Cocoa Room until 11.30 before it turns into Slider Station, matching the signage on the outside. But the two times I have been (both very early on a Friday morning) the breakfast food has been pretty good. I've been with Sarah and Aimee and more recently with my friend Lisa. Both times I was there before 9am and by the time we left people were queuing for tables. Let's talk a bit more about this strange concept though. The restaurant operates as Cocoa Room until 11.30 serving a huge menu of sweet and savoury breakfasts. After that it becomes Slider Station-I've never eaten there but I read that it's the worlds first conveyor belt burger station. Sounds like Yo Sushi for burgers. Maybe I should check it out and report back. They also offer tapas and flatbreads and dishes from the Cocoa Room breakfast menu for dessert. 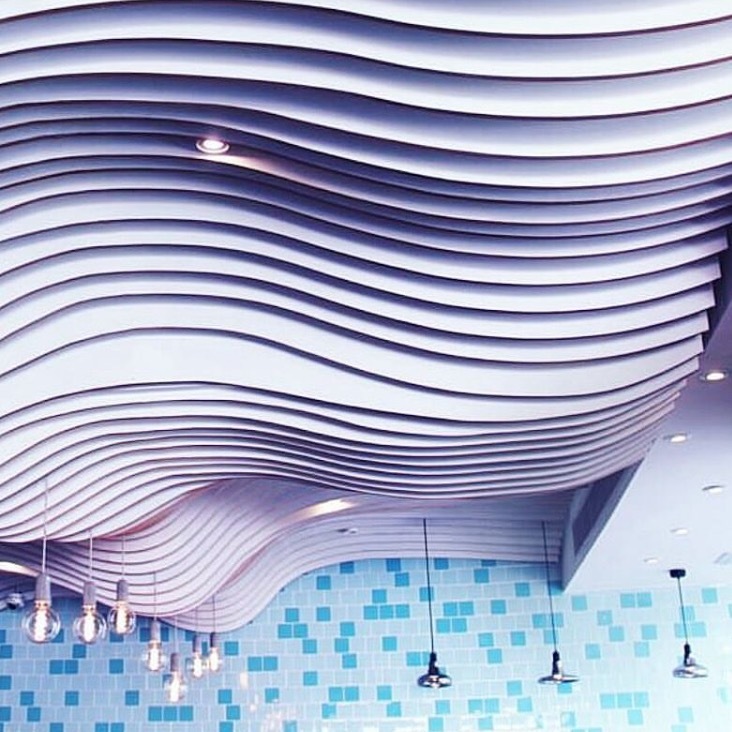 The decor inside is just as confusing. It's a cross between 'industrial chic 1940's gas station' and 'let's make this instagram worthy with gothic-y sofas, exposed lights and large mirrors'. 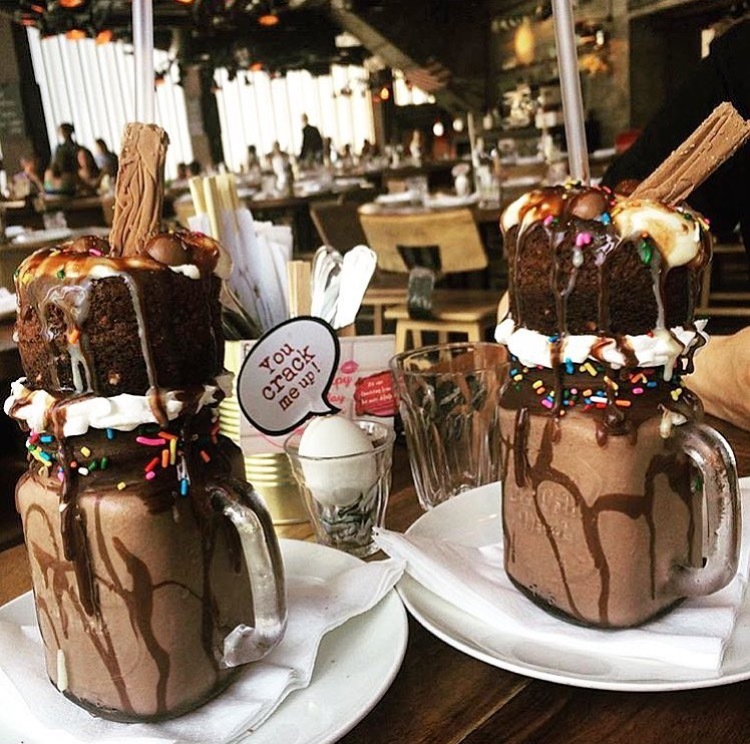 Brownie Pancakes-these are insane and I had to order them again! Get there early to bag a table, you can't make a reservation. Best for small groups and breakfast a deux. 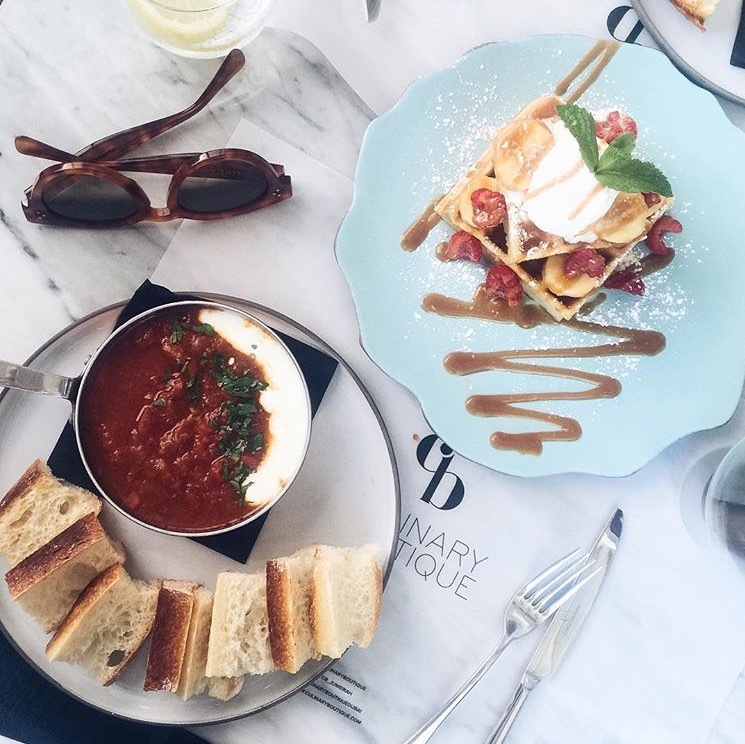 I'd love to hear your favourite places for breakfast in Dubai-especially ones that serve all the pancakes and french toast-without banana of course.